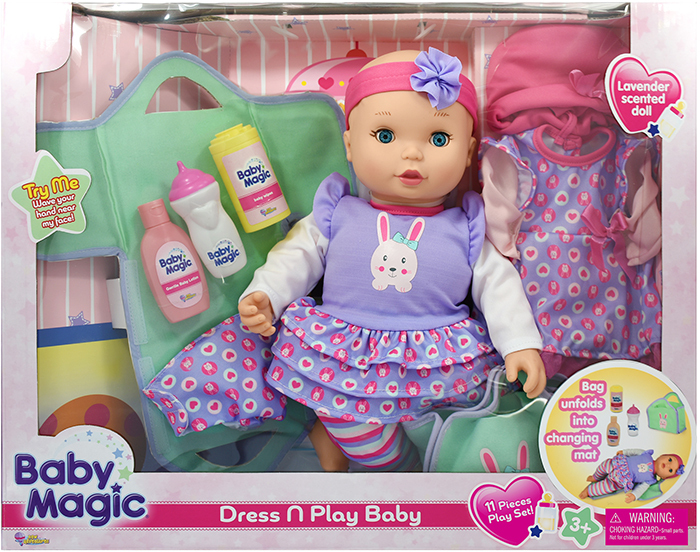 Baby Magic Dress N Play includes a 16 inch baby doll that will blink her eyes & giggle when you give her a hug! This set is packed with baby doll fun that includes doll with removable outfit, bonus outfit, diaper bag that converts to changing mat, diaper, feeding dish with spoon, 2 play bottles and a baby bottle. Everything you need to care for your baby!